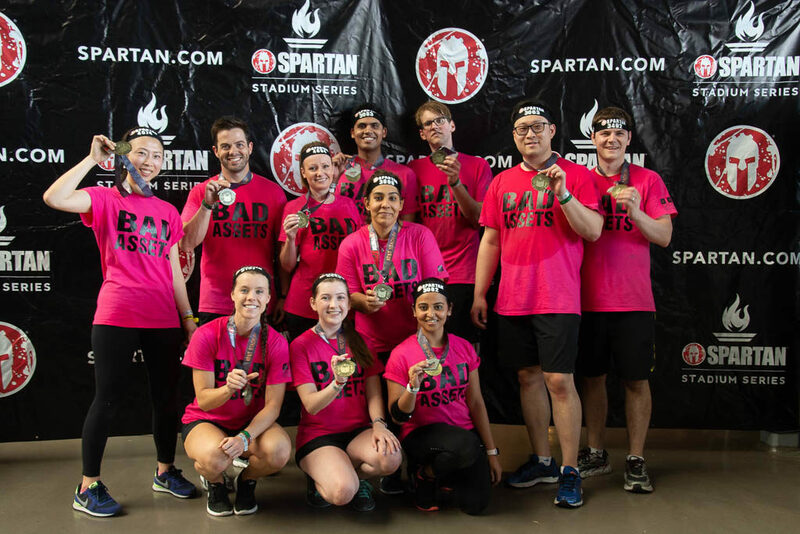 What started out as a friendly competition at the Spartan Race on Saturday, June 16, 2018, at AT&T Stadium in Arlington, Texas turned into a windfall for two very worthy charities in North Texas. The Dallas CPA firm of Goldin Peiser & Peiser (GPP) designated Junior Achievement of Dallas as its team’s charity, raising over $10,000 for that worthy organization. Hillcrest Bank raised over $15,000 for St. Baldrick’s Foundation for childhood cancer research. Although exhausted and sore, the team members were exhilarated at not only completing the race but rising to the challenge of pushing themselves beyond what they thought they could do. And when asked if they would compete again next year, every member of the Bad Assets said absolutely!